Day two of exploring Washington, DC included our tour of the White House- bright and early at 8:30. 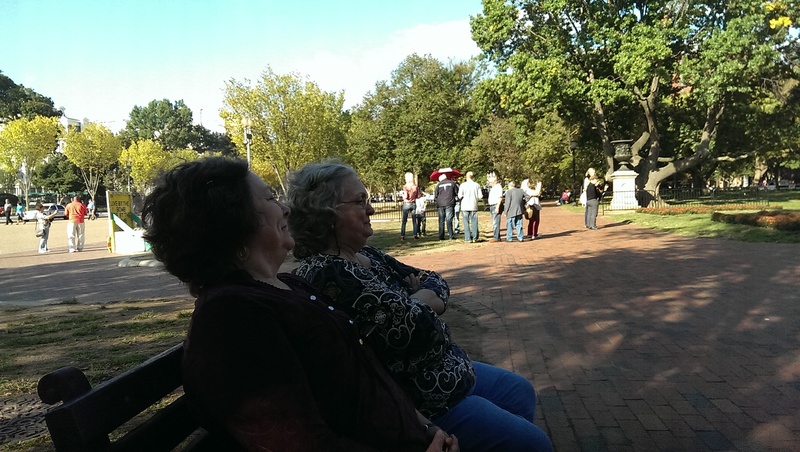 Telling two Southern Magnolia Ladies that they cannot carry their handbags into the White House was pretty amusing. My mom and aunt didn’t seem to fully understand what, “No bags of any kind, including pocketbooks” meant at first. They kept asking,”Well, where am I supposed to put my kleenex?” and “What about my phone?”. My answers were the same, give it to me. I felt like the parent on a school field trip. My pockets were completely full of kleenex, maps, phones, driver’s licenses, money, and our confirmation email. 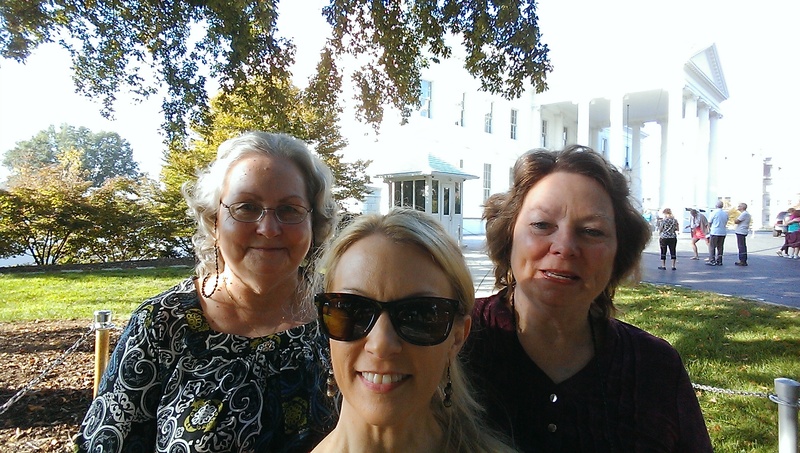 Our tour was at 8:30 am, and I had enough sense to have us ride a cab to the White House. The funny thing is that neither of them would hail a cab, and would wait for me to come and do it. So these two are standing on the side of the street watching the cabs go by, while I finish locking the door. I am really happy that the White House decided that we can now take pictures inside, just no flash. We arrived at our tour line a little after 8:00 am, and security was pretty fast and efficient to get through. 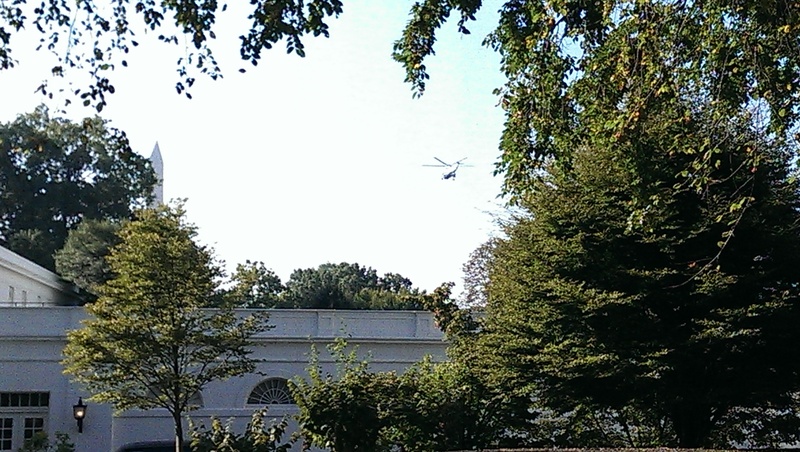 The White House is as awesome as I thought it would be, but seeing Marine One in the lawn preparing to take off was even better! By the time Marine One took off, we were standing outside, so I was able to get this shot. Leaving the White House to get some breakfast. I usually forget to pick up souvenirs on trips, but I did get a few at the White House. The funniest thing happened while the ladies we’re resting on a park bench. As they sat down, my aunt said, “Look at those two old ladies collapsed on that bench.” I flipped my head around in the area I thought she was referring and started getting up, and asked “Where?” I was going to go and help them! My two ladies started laughing harder than usual at me. I didn’t realize they were talking about themselves! This is right after they calmed down from laughing at me. It was nice to have my mom laugh, she has never been one to laugh easily. We also went on the Trolley Tour, and they loved it! When we returned to the rental home, they ended up staying in and knitting and crocheting while I went solo exploring for a bit. 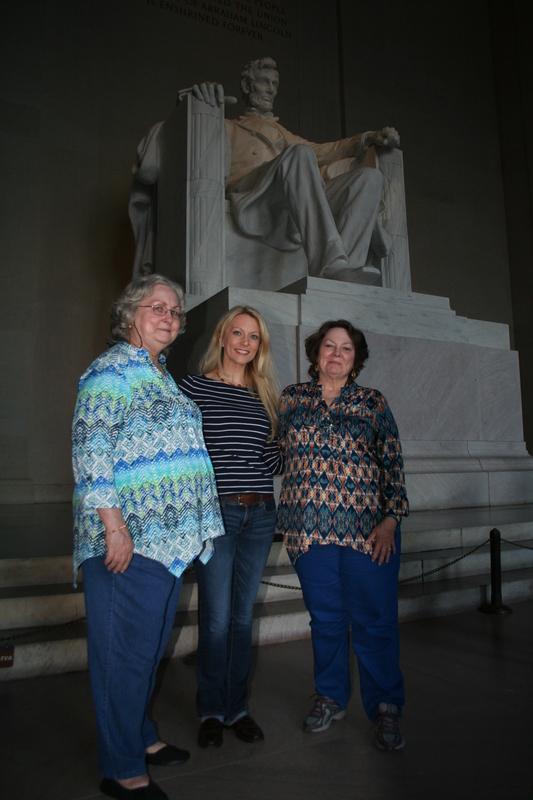 This is the third part of my mom, aunt, and my first day touring in Washington, DC. 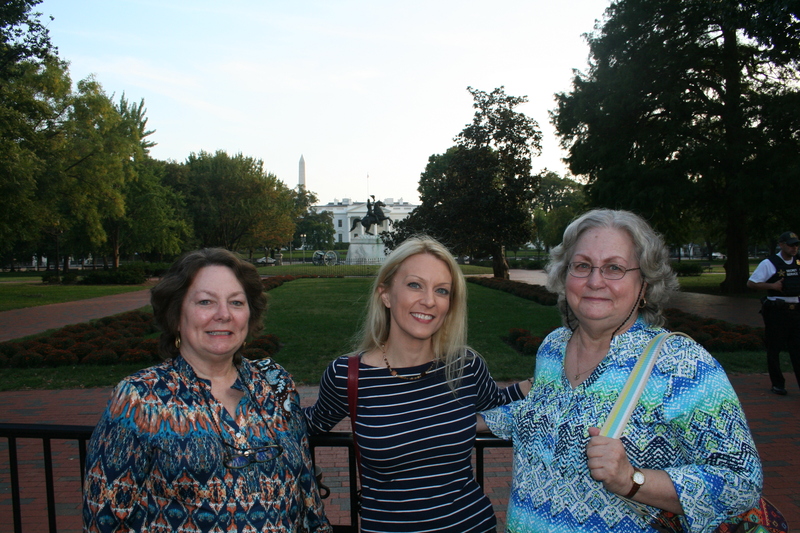 We are still on our DC Insiders Tour- more about that in part two. After the Korean War Memorial, we headed to either the Jefferson Memorial or the WWII Memorial. I can’t remember the order exactly. The WWII Memorial is beautiful and just as symbolic as the other war memorials. First thing I noticed was the feeling I had walking up to it. Completely different than the Korean War Memorial. It was still a feeling of heaviness, but also a celebratory feeling along with it. 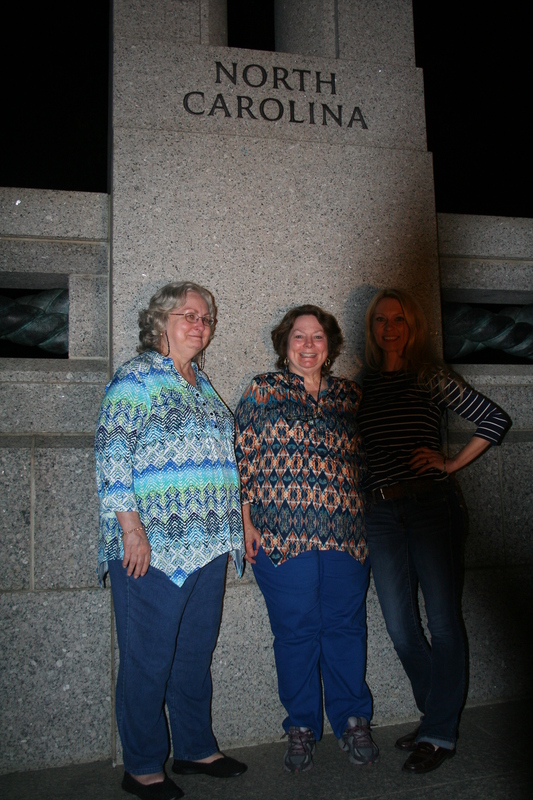 The picture below is the three of us by the North Carolina part of the WWII memorial. I am not sure what happened with the shadow across me in the photo. 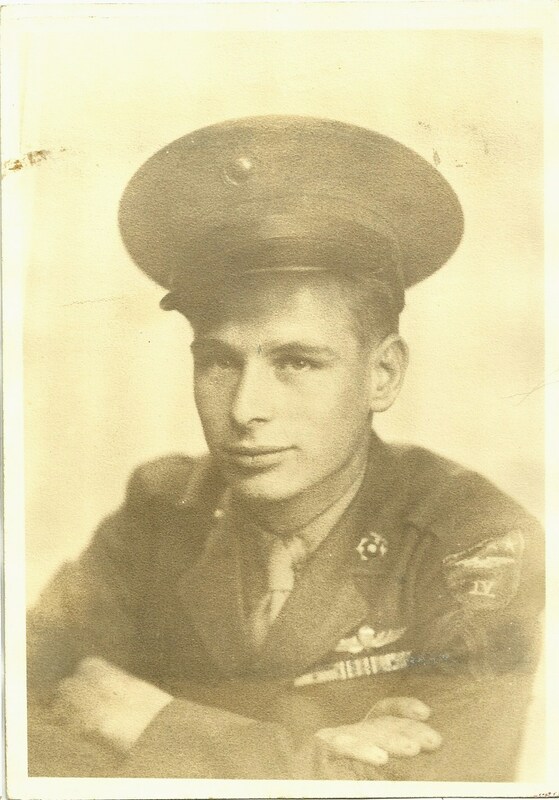 Both of my grandfather’s served in WWII, one in the Marine Corps and the other in the Army. 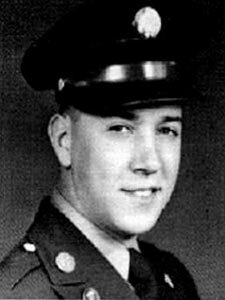 I never met my mother’s father, as he died when she was in college, but he was a spectacular person. My other grandfather was by far the loveliest person in my life. Even at a young age, I knew his stories were important and would write down every word he said about WWII. The Jefferson Memorial was just as poignant as all the others, and I feel it looks the best from a distance with the evening lights shining. Below, Becca showing us a bit from her laminates before we go up to the memorial. Since I am a lover of anything remotely dealing with the 1940’s, I was excited to see the Franklin Delano Roosevelt Memorial. Below, Becca from DC Insiders showing me FDR’s blueprints for making his own wheelchair, which are on the back of the statue. 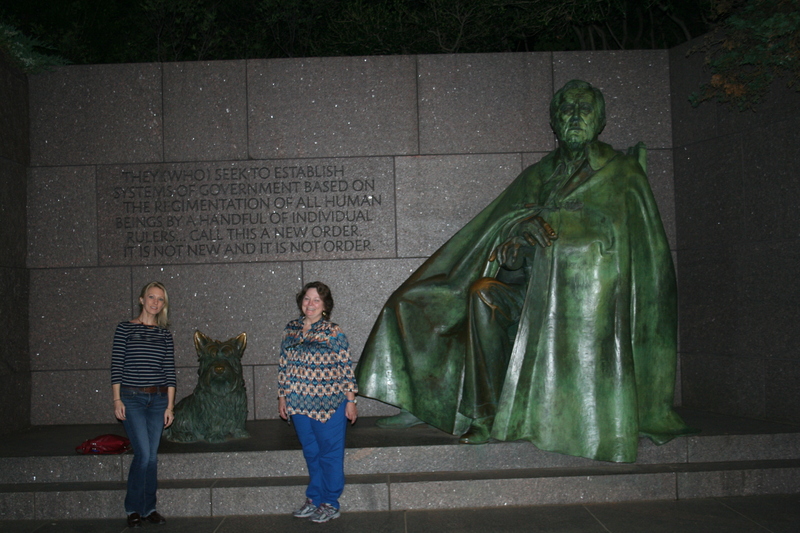 Even Fala, FDR’s beloved dog, is memorialized next to his owner. By this time, it was the end of our tour. Our driver headed back to our rental home to drop us off, and Becca gave us some goodies in parting. 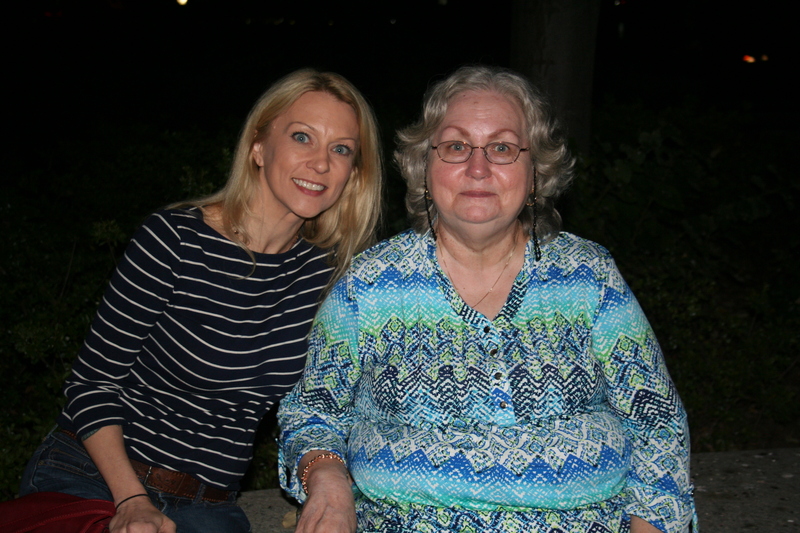 I want to add that my mom became winded, and sat out on the FDR Memorial, and stayed in the SUV with our driver. Mom said our driver was extremely nice and they had a great conversation while waiting for Becca, Aunt Thelma, and me. 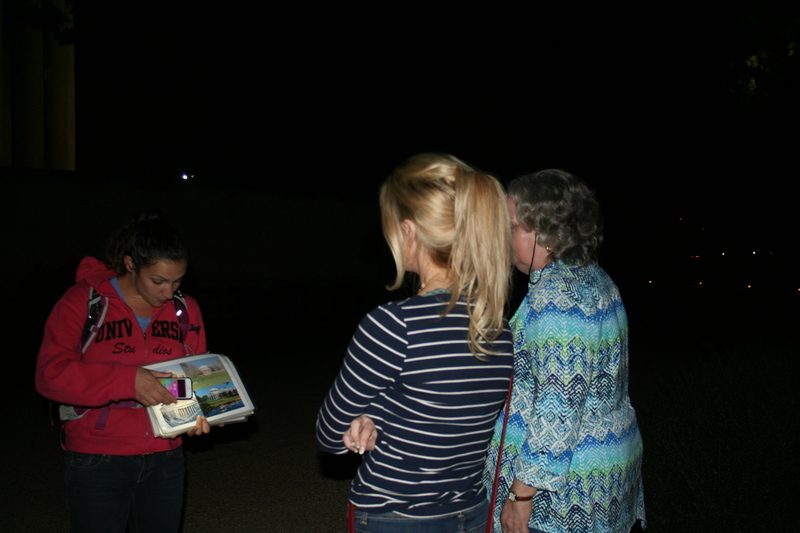 Becca was also great with having two participants who had trouble with walking far distances and stairs. She never once gave the impression that it was slowing us down, or a bother. 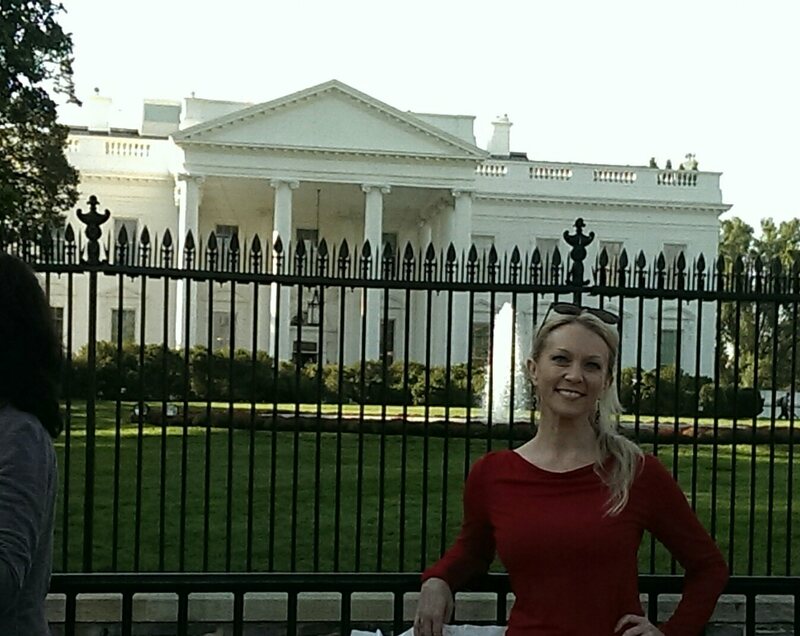 When I plan my next trip to DC, I am definitely going to book another tour with DC Insiders. Note though- I booked this tour this past April for the October tour. I consider our day one of touring Washington, DC to be a success. Mom and Aunt Thelma were really happy with how the day ended. They were also very impressed with Becca and our driver for the evening tour. 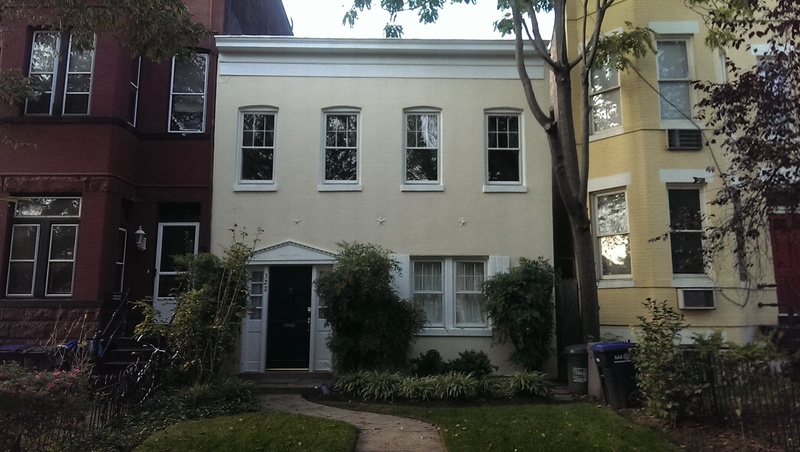 This is part two of our first day of exploration in Washington, DC. 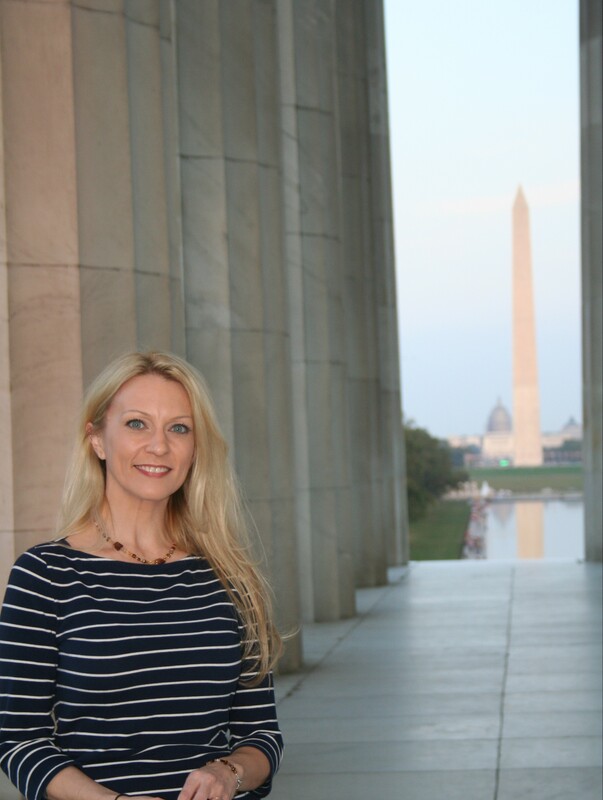 I purchased a private, chauffeured tour called The All-Star Team™ – Monuments and Memorials during the evening with DC Insider Tours. This tour lasted for four hours, and included The White House, Washington Monument, World War II Memorial, Vietnam Memorial, Lincoln Memorial, Jefferson Memorial, Franklin Roosevelt Memorial, Korean Memorial, and Martin Luther King, Jr. Memorial. We ran out of time and didn’t make it to the MLK, jr memorial. This tour was worth every single penny! I knew the ladies would never get to see all of those if they had to walk to each of them. The tour I picked was chauffeured, and Becca was our tour guide. I didn’t ask how to spell our driver’s name, and I don’t want to butcher it by trying to spell it. Both were such great people. 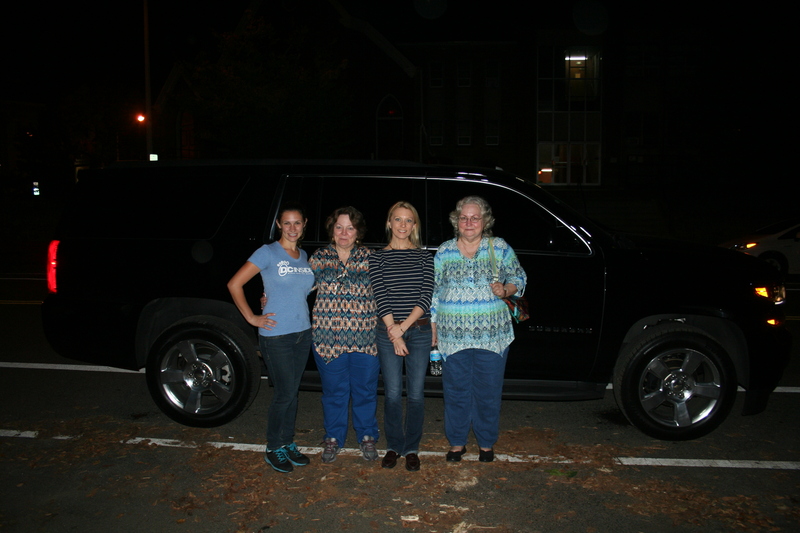 This picture is of us with Becca in front of the tour SUV after the tour, which started at 5 pm and ended at 9 pm. 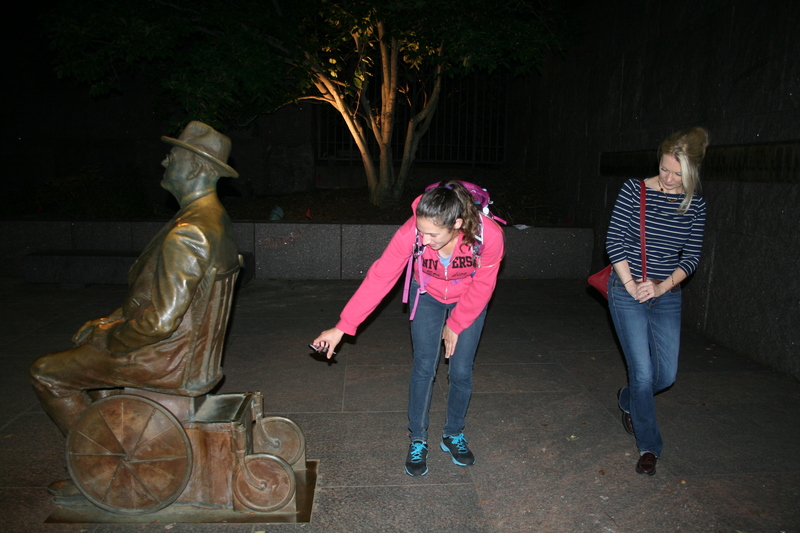 I chose the evening tour so we could see the monuments with the lights and dusk. This is Becca, myself, and our driver. They showed up at our rental house right on time, and we started the tour as soon as we sat down in the SUV. Becca went over a bit of history with the beginnings of Washington, DC while we were on our way to the White House. 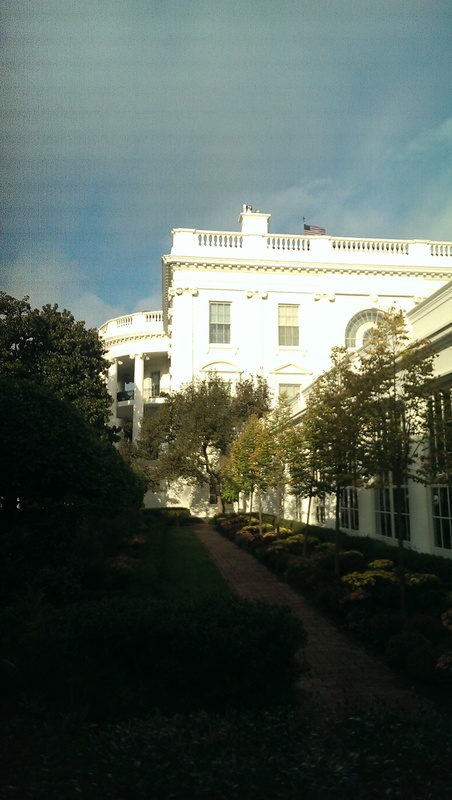 This is as close as we could get at the time to the White House due to a bigwig entering the house, but that was ok since we were touring it in the morning. Next up was the Washington Monument, and my favorite pictures of it were taken while we were at the Lincoln Memorial. I call it the NCIS shot. The Lincoln Memorial is impressive, actually I thought it was very impressive. It feels as if President Lincoln is really watching over DC. It is just a feeling of greatness and a heavy heart put together. You could curl up and take a nap at his feet, and feel safe. Well, until you get in trouble for crossing the ropes to get to him, but you know what I mean. I believe we went to the Vietnam Memorial next, and I knew this would be emotional for me. My father was in the Vietnam War, and that experience has not been kind to him. I have a lot of patience with veterans who have PTSD, as my father was affected greatly by his experiences overseas and also when he came home. 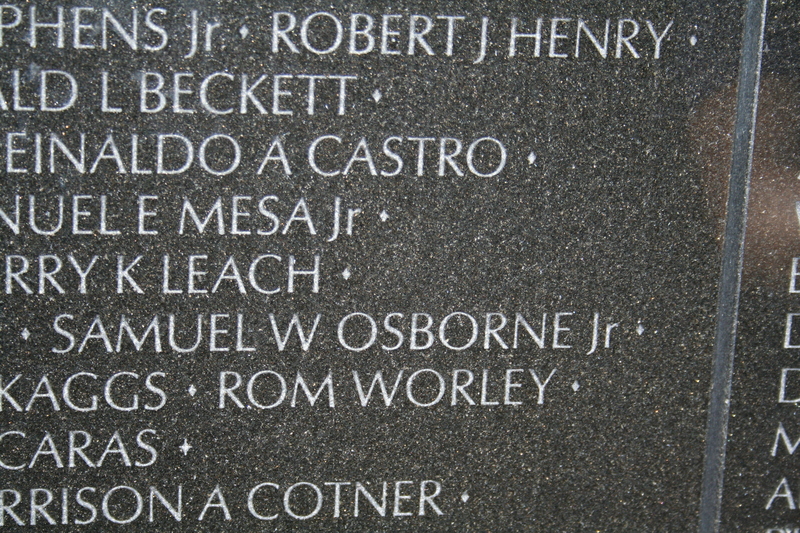 My mom had a classmate who died during the Vietnam War and is on the wall. She didn’t feel up to walking the wall, as it is emotional, so I found her friend’s name for her. Rom Worley. Mom said he graduated a year before her, and died at 19 years old. Forty-eight years later, and she still gets upset talking about losing her friend. 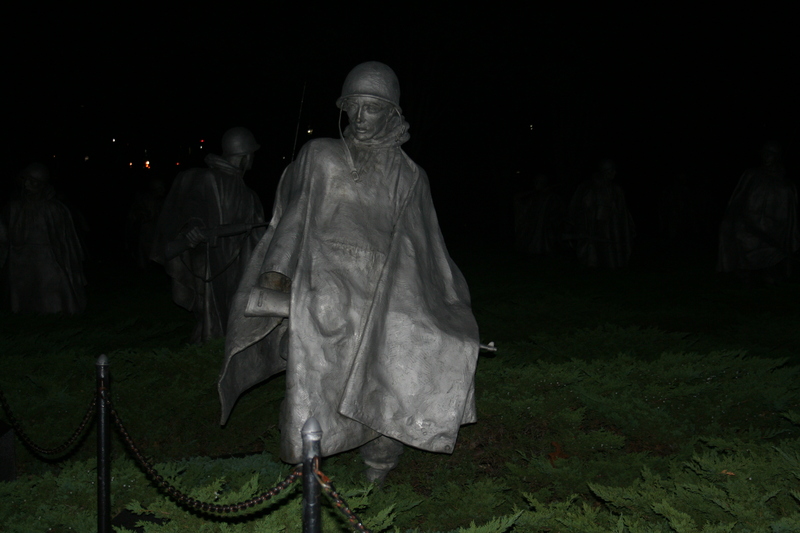 The next memorial was the Korean War Memorial, and it hit me hard. I was matched with a lot of Korean War veterans while I was at the VA, and the memorial reminded me of them (and their stories). As soon as I walked up to the memorial, I started crying. It takes quite a bit to get me to cry; I still am empathetic, just not a big crier. It was one of those cries where you can’t talk. When Becca asked what I thought of the memorial, all I could muster out was, “It’s good”. This is by far my favorite memorial in DC. My aunt took this picture of me (below) standing alone looking at the statues. The only thing you can see is my hair, but I’m on the left side. This memorial is very well designed, and I recommend everyone to take the time to visit it. Thankfully, my family (and Becca) realized I was emotional viewing this, and left me alone to experience the memorial. 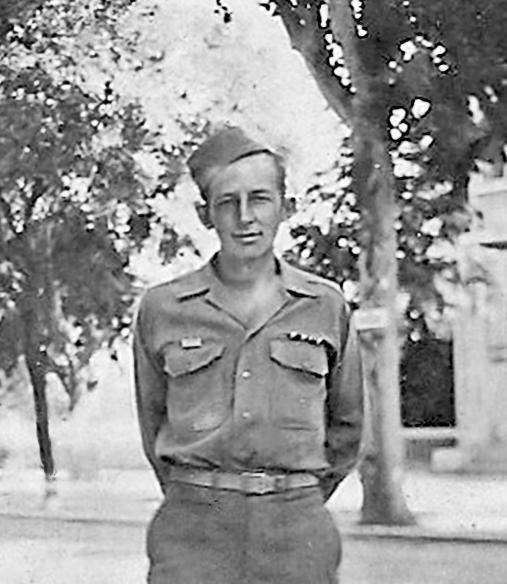 The gentleman who gave me the inspiration for this blog was a Korean War veteran. Our first day of touring Washington DC! Although we arrived in DC the night prior, I am counting that as a traveling day. 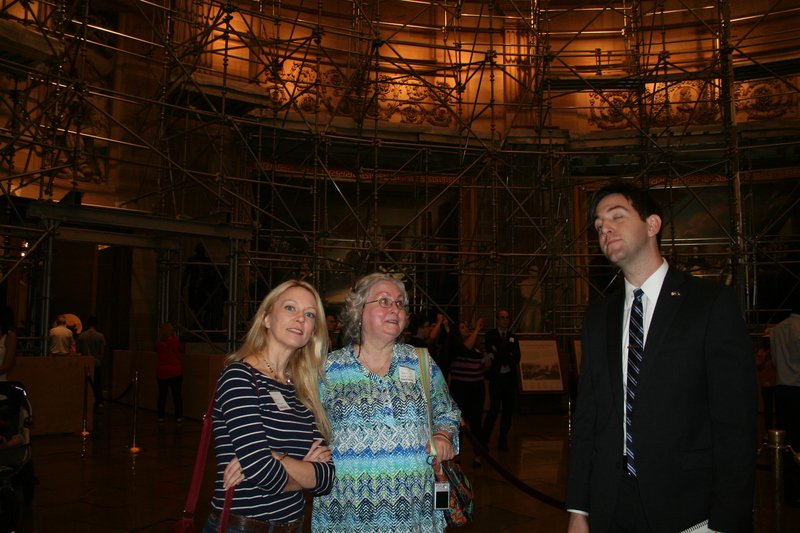 We started off with a tour of the Capitol building. Well, we actually started off by having a lovely argument on how I expected them to walk everywhere. I rented a wonderful house next to the Library of Congress, so they wouldn’t have to walk far to get anywhere. Well, apparently one city block is too far. I spent so much money on cabs. 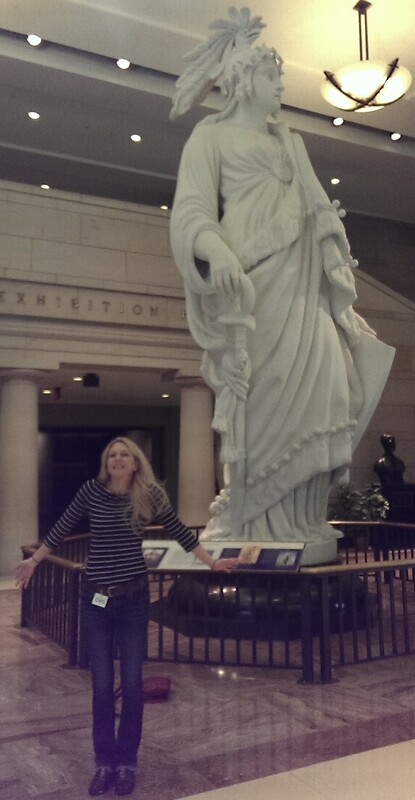 Back to the US Capitol tour. We finally arrived to the Hart Senate Building to meet our tour guide at Senator Tim Scott‘s office. Senator Scott of SC has really impressed me- even though we identify with different political parties. I have always written politicians, and he is the only one (or someone in his office) that took the time to write me back. The response was well thought out and answered my questions/concerns about SOPA and PIPA. I will admit to writing to so many politicians that it has become a joke to all my friends. Senator Scott has always been a very hands on politician, so I knew he wouldn’t be in the office while we visited due to the state of SC being under water right now. My facial expression shows my frustration on this day, and it wasn’t even lunch time yet! Our tour guide was Gil, who grew up in South Carolina and now works as an intern to get into politics because he could, “get paid to argue”. This is the picture I am posting of Gil, mom, and myself. Take what you will from the picture for my thoughts on Gil- maybe if he didn’t infer that we were all three Republicans, he should know better. He was knowledgeable, but could have done without the comments leaning far right. I kept my mouth shut though. He was so proud of being an 8th generation South Carolinian, but I think he may have been goofing off when he was taught about southern hospitality and not having your guests feel uncomfortable. Mom gave me the side-eye several times to just keep my trap shut. 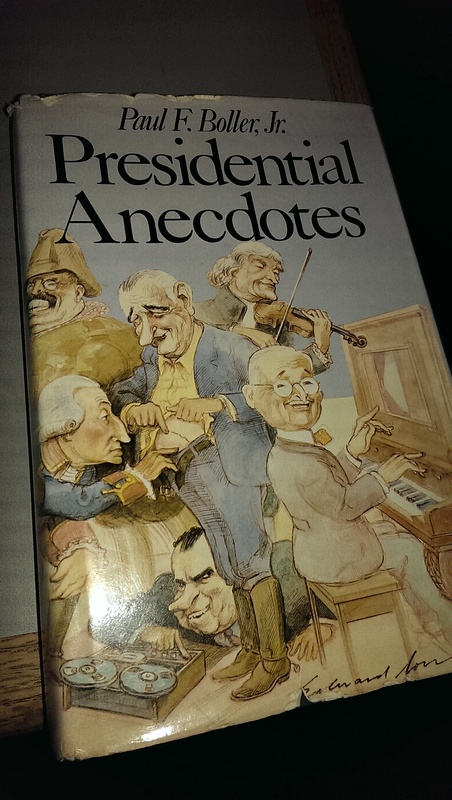 One cool thing that Gil told me about was a book he was reading, which looks interesting. I may try to find it. After our tour, we had lunch at the cafeteria at the Dirksen North Cafeteria which is the Senate Cafeteria. It was really good, with choices for everyone. Highly recommend eating there. After lunch, we went back to the adorable rental house. The ladies read and knit, while waiting for our personal chauffeured tour of the monuments…at five in the evening. I think I ended up taking a nap. Part two will go over the awesome evening tour with DC Insiders.